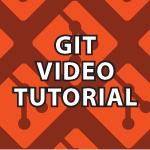 One of you guys asked me to make a Git video tutorial so I did. Specifically I go over all the different types of version control. We look at the difference between modified, staged and committed. We then install and set everything up for Windows, OSX and Linux. I briefly go over using VIM and show how to set up other editors. 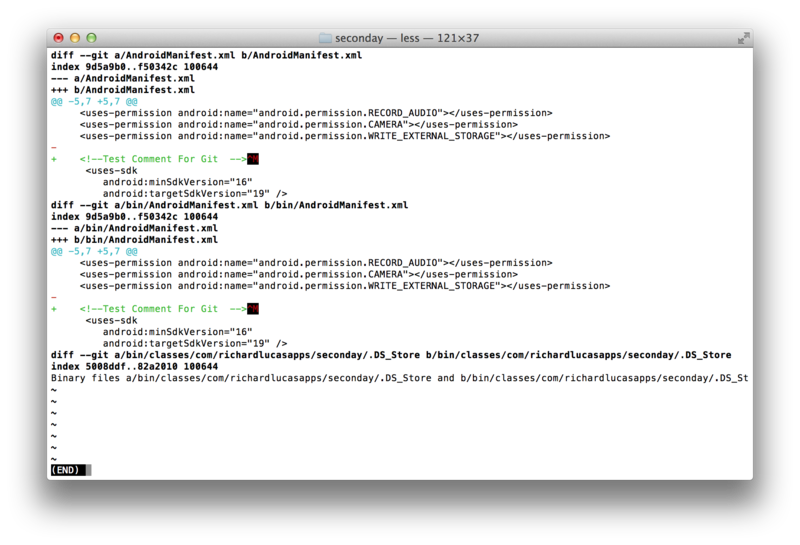 Then I cover the commands init, add, commit, status, diff, rm, log and more. A cheat sheet follows the video below. 1. Git is a version control tool that saves changes to groups of files so you can revert back if needed. c. Distributed Version Control allows for easier sharing of files then LVC and also eliminates problems that could occur if access to the server is lost under a CVC system. d. DVC clients have a complete backup of the files on their computer. If the server is lost the client just waits to regain contact and then uploads changes. 3. When you commit changes to files Git stores a reference of what the files look like at that moment. If a file isn't changed it isn't stored again. 4. Each client has a complete history of all changes stored locally. The client can also access all changes made to the files historically with a simple command. Also those files cannot be changed without Git knowing and changes are difficult to lose. 6. Git saves all file changes to a directory as a compressed database. 1. git config --global user.name "Derek Banas"
a. Shows the state of your files meaning if they are tracked, have been modified and the branch your on. a. rm DeleteMe.txt # If you remove a file it shows as "Changed but not updated"
b. git status # If you remove a file it shows as "Changed but not updated"
c. git log --pretty=format:"%h : %an : %ar : %s"
Thank you very much 🙂 I did my best to pack as much as possible into the video. I can’t wait for your regular java android tutorials! You are the best! Thank you 🙂 I already have a bunch here, but I’ll bring out another in a few weeks. Hey Derek, can you please make a tutorial on Back-end services for android apps, like Parse.com or Google App Engine? This is wonderful. Can we get one on “GIT Extensions” too? You’re very welcome 🙂 I’ll do my best to cover most everything. Hi Derek, can you make a tutorial about SVN? I’ll see, but i’m going to stick with Git for now because it is what i use. Hey Derek, I love the pace of your videos, it always seems to be just right and doesn’t waste my time. We can always stop and replay parts when we feel a need to. I think you really have a gift for this. Thanks for spending your time to share it! Thank you very much 🙂 I always try to improve and present the information in a new way. I’m very happy that you enjoy the videos. Super happy you are doing a tutorial on this, I love your style. Thank you 🙂 If that happens click q to exit. Tell me if that doesn’t work. Damn your good. That worked perfectly. Thank you so much. I’m glad you liked it. I’ll get the next 2 parts out as soon as possible. This is definitely the best Git tutorial on the web.. Thanks! Thank you 🙂 That is always the goal. I’m glad I achieved that this time. First Thank you for your site its the best. from what i see both commands do unstaging but not delete. Thank you derek for helping us and I hope that you keep the good work ..